Whether cruising to Tahiti or Tanzania, Argentina or Antarctica, there’s no better way to enjoy seasonal merriment than getting away with family and friends for a celebration at sea. Discover delightful regional differences. Experience the holiday spirit—southern or Cajun style with American Cruise Lines. 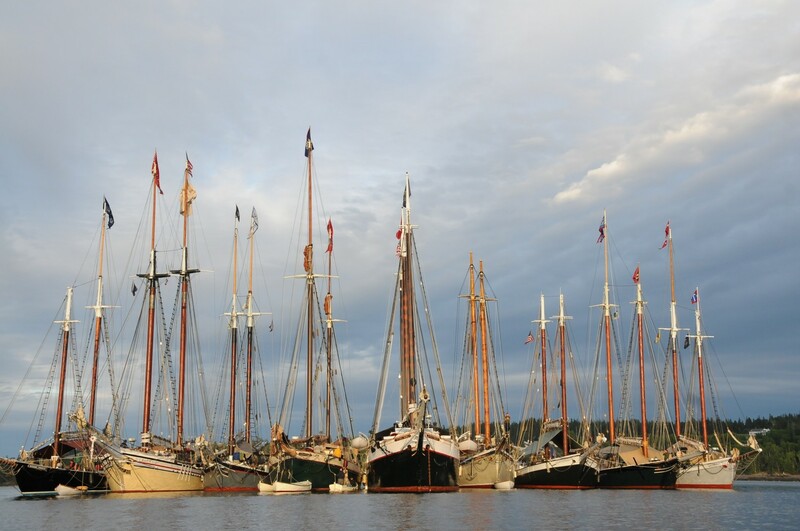 The seven-night “Historic South & Golden Isles” cruise, departing from Jacksonville, Florida on December 21, features a holiday décor tour of Charleston’s famous mansions and a traditional Sapelo Island holiday oyster roast on the beach, while the December 28 New Year’s Eve sailing, departing from Charleston, South Carolina, features fireworks over Savannah. The seven-night “Cajun Christmas” cruise on the Lower Mississippi River, departing from New Orleans on December 21, features Oak Alley Plantation in its holiday finery, Christmas Eve bonfires along the levee lighting the way for Santa and a traditional Reveillon-style feast. Or celebrate Christmas and New Year’s in Hawaii with hula and ukuleles on Norwegian Cruise Line’s Pride of America seven-day Hawai`i cruise, departing December 21 and December 28 from Honolulu. 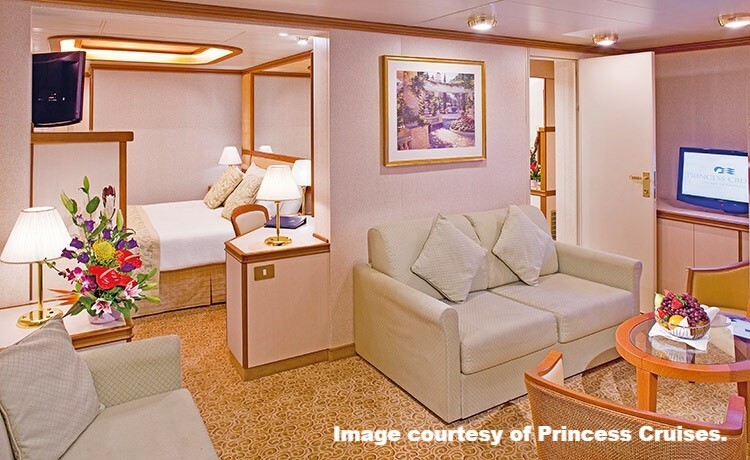 Crystal Cruises had added 17 European cruises where kids 17 and under can sail for free sharing parents’ stateroom. 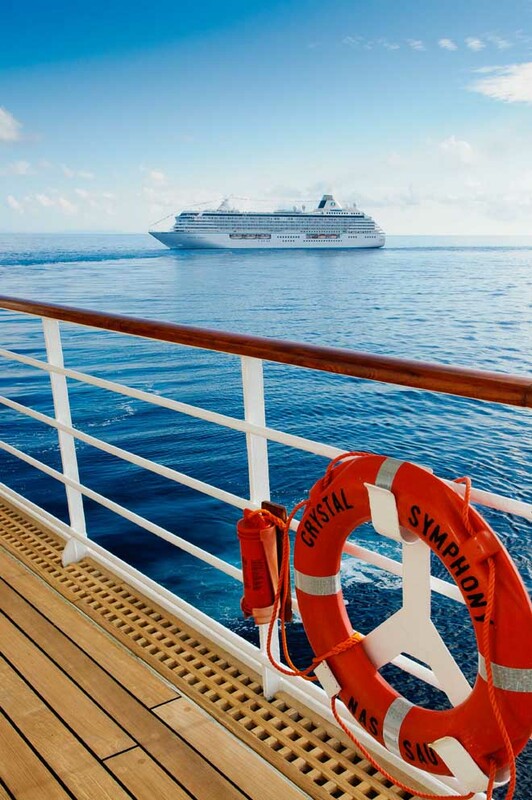 Due to popular demand, Crystal Cruises is adding17 voyages to the ultra-luxe line’s “Kids Sail Free” program. With the promotion, kids age 17 and under can sail for free when sharing a third berth stateroom with two adults. Previously offered on just four luxury European cruises during June and July, families can now choose from seven- to 15-day voyages in the Mediterranean, Western Europe, North Cape, Baltic, British Isles, Canary Islands, and across the Atlantic from May-December aboard Crystal Serenity and Crystal Symphony. New Magic Castle at Sea “junior cruisers” shows and classes will be offered on board during summer cruises, in addition to all-ages shows on every cruise. In addition to the new Magic Castle at Sea enrichment, every Crystal cruise offers family-friendly learning and entertainment, from iPad Digital Filmmaking classes (in association with USC’s School of Cinematic Arts) to dedicated on-board kids and teens spaces — a rarity among luxury cruise lines. 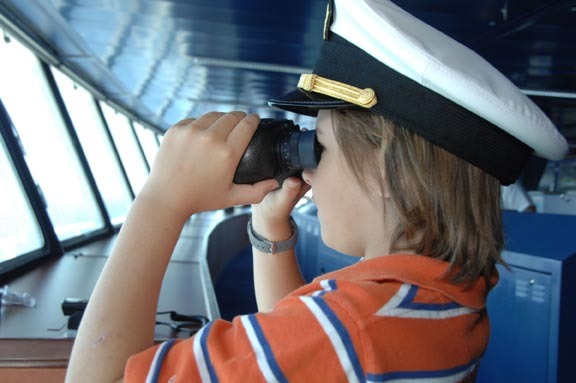 During school vacation times, junior activities directors host complimentary supervised activities on board, ranging from behind-the scenes tours to cooking classes and scavenger hunts. Every cruise also has babysitting services, “finicky eater” foods, movies, library books, family-friendly excursions, and more available. 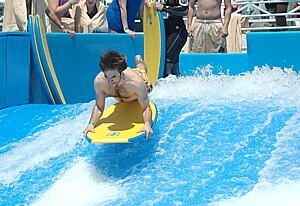 All-inclusive, “Book Now” fares for “Kids Sail Free” applicable voyages begin at $2,495/person if booked by April 30. 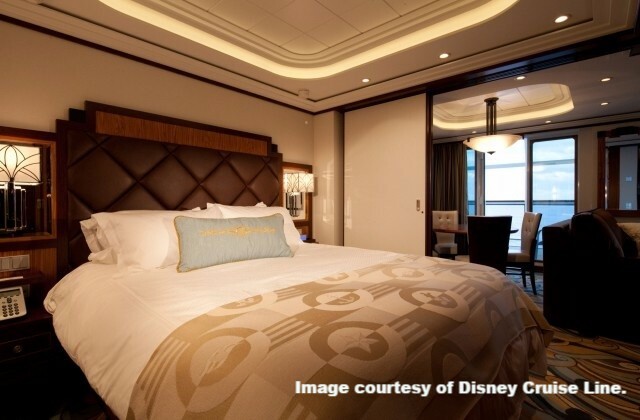 The “Crystal Family Memories” program also offers additional free berths and perks for groups of six or more. With sophisticated tours worldwide, enriching learning opportunities, international gourmet cuisine, complimentary voluntourism excursions, and a host of other activities for all ages, the Crystal experience gives families exceptional, once-in-a-lifetime access to creating intimate bonds, gleaning a global education, and building lifelong memories while sailing in elegance, making Crystal Cruises the leader in family-friendly luxury cruising. Hapag-Lloyd Cruises is now offering parents a complimentary new service to facilitate carefree travelling with babies and toddlers – the Baby Welcome Package. The Hamburg-based cruise operator is taking into account the constantly rising proportion of families on their voyages, and making it easier than even to take along babies and toddlers. With this new service, Hapag-Lloyd Cruises is enhancing its offerings for families, and enabling them to travel to the cruise departure point without excess luggage due to baby items. The package includes: care products such as diapers and baby lotion, changing mats, and bibs. 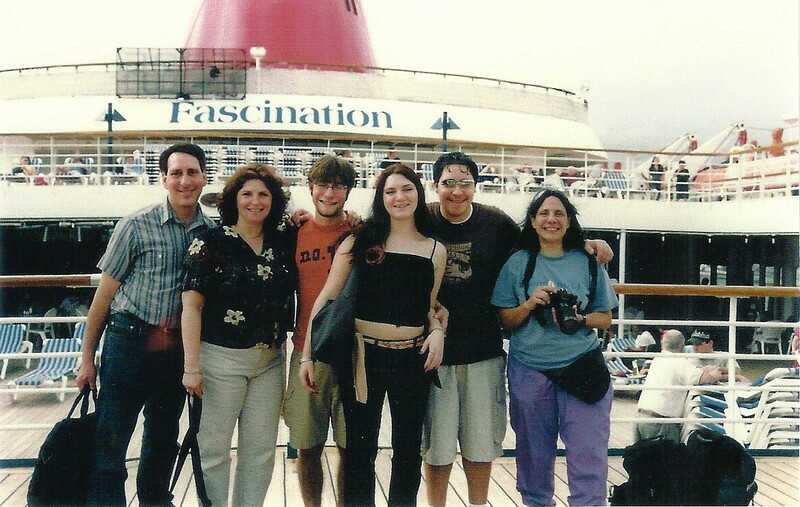 Every family can submit their personal “Baby Welcome Package” list prior to the beginning of the cruise. By filling in a form, they can order items like diapers in the required size and quantity, as well as the desired type of baby food, if preferred organically grown. The suite will also be furnished, on request, with baby monitors, baby carriers, portable cribs, high chairs and bathtubs for babies. On the EUROPA, children up to three years old sharing a cabin with their parents or grandparents travel at no cost; for children aged four to 15, the charge is 65 Euros per night. Designated family cruises and cruises with at least four children on board include a special program with meals, drinks and customized children’s excursions for the little cruise passengers. Further information is available online at www.hl-cruises.com. 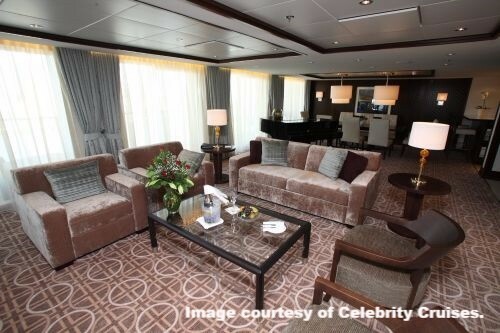 The EUROPA is the first “all-suites” cruise ship, with staterooms that are never less than 290 square feet, 80% of them having their own veranda, assuring privacy andrelaxation. 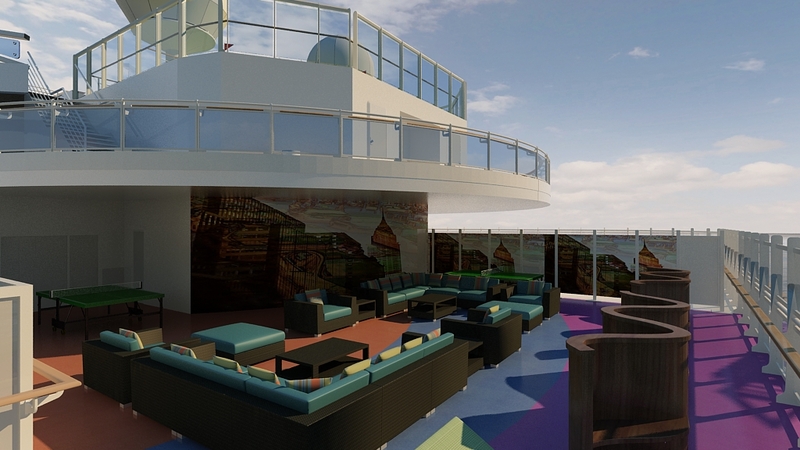 The EUROPA is one of the few ships in the cruise industry that offers guests the largest space per passenger, as well as one of the highest staff passenger ratios, with 280 staff members for max. 408 guests. New to the EUROPA in September 2010, Dieter Mueller became the first award-winning chef to open his own gourmet restaurant onboard the EUROPA. He’s personally on board 70 days a year. The EUROPA is the only cruise ship in the world awarded 5-stars-plus by the Berlitz Cruise Guide 2011 and known for its unique itineraries and worldwide destinations. She will be visiting over 20 countries in 2012, as part of her international (German/English) itineraries.